Where a contractor explicitly disclaimed responsibility for engineering of second floor additions creating snow load on existing roof structures, the court held that the contractor did not breach any implied warranty although certain building codes were apparently violated. In the case of Associated Builders, Inc. v. Oczkowski, 801 A.2d 1008, 2002 ME 115, the Oczkowskis [Owner] contracted with Associated Builders to covert an old restaurant into a motel. They provided the builder with detailed drawings. The contract was never executed by the parties but work was performed pursuant to an unsigned document stating in relevant part: “We [contractor] will complete the following Work on a Time and Material Basis, the word detailed below will be as per the plans provided by the owner….. Note: Contractor is not responsible for the Engineering of the 2nd floor Additions Creating Snow load on the Existing Roof Structures and will assume no liability for same.” An “estimated” cost of $55,000 to $60,000 was provided. After work began, the local code enforcement officer expressed concern about whether the proposed construction plans would comply with the building codes dealing with structural support for roofs bearing snow loads. The Owner retained an engineer to evaluate the situation, and the engineer recommended modifications to the plans. As a result of the proposed modifications, some of the construction work that had already been completed had to be ripped out and redone. This significantly increased the scope and cost of the job, bringing the total job cost to $84,000. The Owner objected to paying more than $50,000 for the job and they claimed that the contractor had agreed to waive its invoices for all amounts in excess of that. The contractor disputed this and ultimately filed a mechanics lien and litigation to recover the balance it claimed was due. The trial court found that although the contract had not been executed, the written terms of the unsigned agreement would be binding upon the parties since they proceeded to perform the work pursuant to its terms. Moreover, the court found that the “estimate” of $50,000 was only for the work as “originally represented” and did not reflect the increased costs necessitated by the changes to the plans that had been provided by the Owner. Based on the theory of “quantum meruit” the court entered judgment for the full $84,000 on behalf of the contractor. As explained by the court, “quantum meruit requires proof that (1) services were rendered to the defendant by the plaintiff; (2) with the knowledge and consent of the defendant; and (3) under circumstances that make it reasonable for the plaintiff to expect payment.” This judgment was affirmed on appeal, and the court also ruled against the Owner on the Owner’s counterclaim for breach of warranty. On the breach of warranty counterclaim the issue was whether the contractor had breached an implied warranty based upon the theory that every construction contract contains an implied warranty that the building will comply with all applicable building codes. 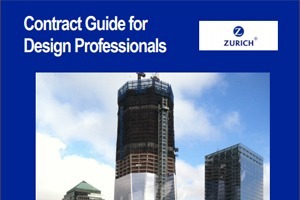 In rejecting this, the court quoted other case precedent for the proposition that “Ordinarily, a contractor who completes a construction project in a workmanlike manner and in strict compliance with plans furnished by the owner will not be held liable for damages resulting from defects in the owner’s specifications.” Even though there is an exception to this rule in some states for commercial contracts where a contractor may have a duty to discern any reasonably obvious defects in the plans and bring them to the attention of the customer, the court here found that the contractor had expressly disclaimed any liability for problems associated with the engineering of the second floor structures and this negated any warranty that might have otherwise been implied by law. About the author: Article written by J. Kent Holland, Jr., a construction lawyer located in Tysons Corner, Virginia, with a national practice (formerly with Wickwire Gavin, P.C. and now with Construction Risk Counsel, PLLC) representing design professionals, contractors and project owners. He is founder and president of a consulting firm, ConstructionRisk, LLC, providing consulting services to owners, design professionals, contractors and attorneys on construction projects. He is publisher of ConstructionRisk.com Report and may be reached at Kent@ConstructionRisk.com or by calling 703-623-1932. This article is published in ConstructionRisk.com Report, Vol. 4, No. 10 (Nov 2002).